Chameleon offers proofreading & editing services to businesses and institutions providing your company with expert proofreading at prices that small businesses can afford. Nobody is perfect, especially when typing or creating wordy documents. It is often more difficult to spot your own spelling, grammar or typing misakes, particularly when you have already read through your document a number of times previously. It is imperative that mistakes are located and corrected before your copy is printed or uploaded online. We offer a service that has been setup for FTSE-Listed companies and Private Limited Companies to Small Businesses, including City Councils. 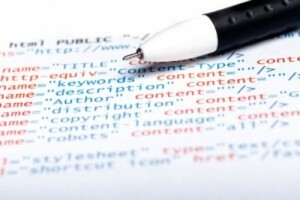 We can provide a full service for you as our proofreading team have been inhouse trained to understand html coding. This means that we can edit live website pages for you as well as unpublished drafts. This is the added advantage for using Chameleon’s proofreading services as we can work on your website source code directly which means no copying and pasting errors taking formatting and breaking code. To find out more details about our proofreading services please contact us.